When I was unhealthy and 75 pounds heavier, I used to joke that I would have a heart attack in my 50’s because heart disease and diabetes ran in my family. Little did I realize that the genes which have been passed down to me do not determine my fate. It is very common for medical conditions and diagnoses to be similar from generation to generation, however recent research over the past 20 years has shown that your DNA is NOT the cause of specific conditions coming up, but it is actually the environment in which the DNA is transcribed. Let’s get scientific here for a bit, then we will get back to why your genes don’t determine your fate. Each one of us is made up of approximately 40-60 trillion cells. Each one of these cells has an outer layer of structures called phospholipids which make up our cell membranes, the “skin” of the cell. Located within this layer is where our receptor and effector proteins lie, which tell us about what is going on outside of the cell. Inside almost each one of our cells is a structure called the nucleus which contains our DNA. 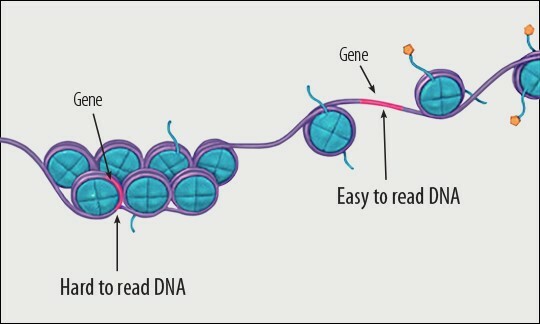 The DNA strands are actually coiled around protein structures called histones, which makes our genes either hard to read when they are packed together tightly, or easy to read when they are separated and opened up. For many years in the mid 1900’s, scientists were under the impression that our DNA regulated itself, determining which genes were to be used and which ones were not. More recently, we have found that gene transcription is actually determined by our environment and what is available in the surroundings of the cell, which tells the histone proteins which genes to make easy to read and which to make hard to read. Environmental signals include the presence of hormones, nutrients, vitamins and minerals as well as other toxins and harmful chemicals. These signals present themselves to the cell membrane, the outside skin layer of the cell. On the skin layer of each cell are specific receptor proteins which react to the presence of and binding with these signal molecules. The receptor protein then attaches to an effector protein which sends a signal into the cell, to the nucleus, telling the histones to move accordingly, causing them to make certain genes easier to read or harder to read, thus transcribing specific proteins according to the signals from the environment. Your DNA is basically an overall blueprint, but it is actually the environmental signals which determine which genes are used and which ones are not. 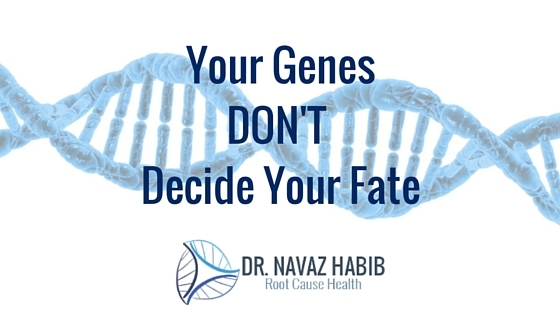 This is why your genes don’t determine your fate, your fate is determined by your environment. The reason that so many health conditions are passed from generation to generation is because many of the same environmental signals, including our personal thoughts and beliefs send signals to the cells causing the same genes to be transcribed. This is why there is NOT a 100% chance that if your parent suffers from a health condition, that you will also suffer with that health condition. The great determinant of gene transcription into proteins is our environment, not our genes. 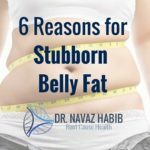 There are many health conditions that are believed by the general public and many health professionals to be simply genetic and that “there is nothing you can do about it”. 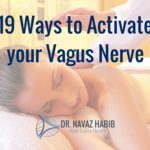 These conditions can range from Alzheimer’s and Dementia to Osteoarthritis, Cancers and even Autoimmune conditions like Thyroid disease and Multiple Sclerosis. The reason members of the same family often suffer from the same health condition is not because of their genetics, but because they tend to be surrounded with the same environmental triggers and signals which lead to genetic transcription of proteins associated with those conditions. Families tend to eat the same foods, have the same activity levels, live in similar cities with the same water supply, deal with very similar stressors, handle stress in very similar ways, think very similar thoughts and have very similar beliefs. All of these include a significant number of environmental, hormonal, toxin and chemical signals which either increase or decrease gene transcription and protein production. Your fate is determined by your choices, both conscious and subconscious. If you choose to look at the world with a negative lens like some of your family members… then you will most certainly deal with the same health conditions as your family members and others that have the same genes as you. The same can be said for families that live healthy lifestyles, eat clean food, drink clean water, don’t use plastic containers, avoid environmental toxins, deal with stress in a positive manner and look at the world through a positive lens. The choice is yours. You can either live the same life as your families have and suffer the same consequences, or you can make your own healthy choices and make those positive healthy choices count for future generations. Let’s make our kids healthier than us. Let’s ensure that they don’t feel condemned by their genetic inheritance but rather that they feel blessed with the opportunity to choose their health and healthy lifestyles to live long, happy lives full of enjoyment and vitality. 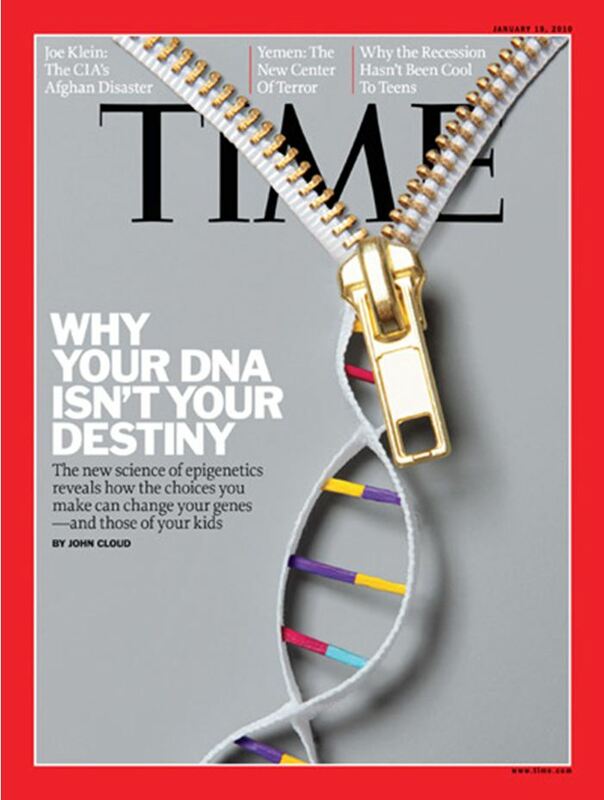 Your genes don’t determine your fate, you do.